NOTE: Don’t let the post title scare you off. There will be NO SPOILERS in this post. In the second season of Breaking Bad, a pair of junkies who can barely put one foot in front of another supposedly are able to pull off the heist of an ATM from a convenience store and ferry the cash-laden machine back to their den. This is the most extreme example of a loss of logic that occasionally drags on the series. Those moments — often necessary to continue the story — usually occur amidst high-tension drama and are therefore fairly easily overlooked. And these lapses are the only negative I can mention about Breaking Bad. 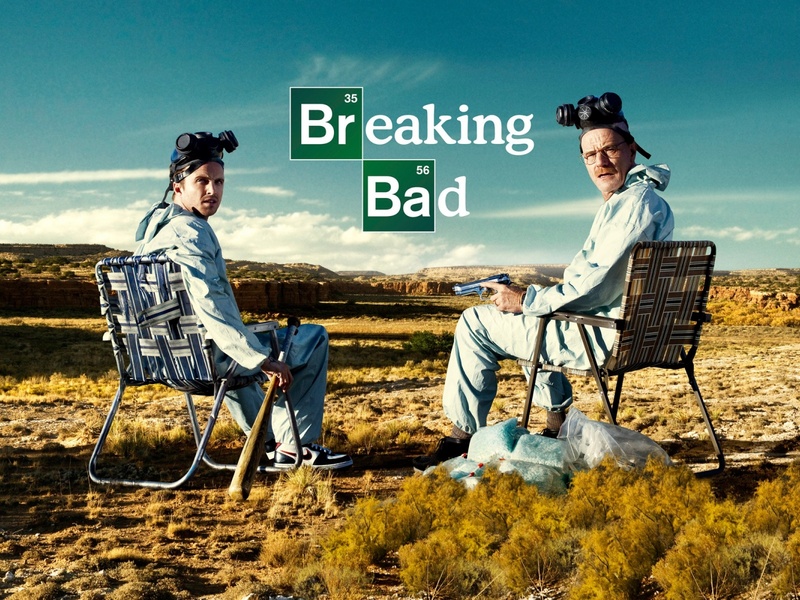 Breaking Bad is widely regarded as one of the greatest television series of all time… [and] entered the Guinness World Records as the most critically acclaimed show of all time. I certainly don’t put Breaking Bad at the top of all television series ever — the aforementioned momentary lapses of reason are enough to knock it a peg below, say, Mad Men. But it’s way up there, certainly in the top ten. The series starts off a little roughly, but coincidentally once Saul Goodman enters as a recurring character half-way through Season 2, the show falls into a highly entertaining groove and never leaves it. It is almost always riveting, edge-of-your-seat entertainment. In other words, I highly recommend Breaking Bad. Unlike Mad Men, make sure to watch starting with Season 1 Episode 1. The entire series is available on Netflix (Yay!). This entry was posted in Blog and tagged AMC, crime drama, drama, Netflix, TV. Bookmark the permalink.